NewDelhi : Rejecting the Frech media report that Anil Ambani’s firm has availed a tax waiver of 143.7 million Euro within few months of the Rafale Deal, the Defence ministry has said that there is no relation between the two and it is a mischievous attempt to misinform. “We have seen reports drawing conjectural connection between tax exemption to a private company and procurement of Rafale fighter jets by Government of India. Neither the period of the tax concession nor the subject matter of the concession relate even remotely to the Rafale procurement concluded during the tenure of the present Government. 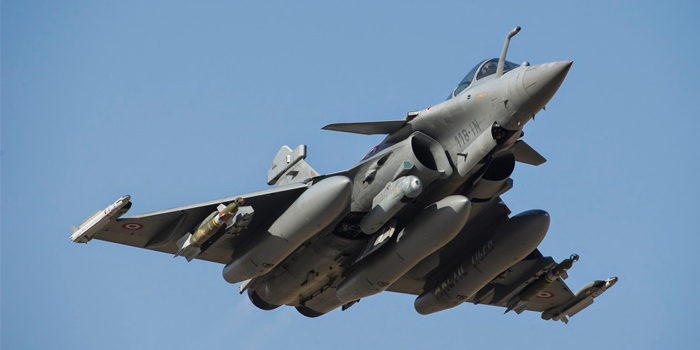 Any connection drawn between the tax issue and the Rafale matter is totally inaccurate, tendentious and is a mischievous attempt to misinform” the Defence Ministry said in a statement. Earlier, citing the French media report, the Congress had attacked the Prime Minister Narendra Modi for favouring Anil Ambani. The French Newspaper Le Monte has reported “France has cancelled a tax recovery of a total amount of 143.7 million euros, yet claimed for years, in favor of a French company belonging to the group Reliance Communications Anil Ambani. The dispute was settled between February and October 2015, at a time when India and France were negotiating the sale of thirty-six combat aircraft”.